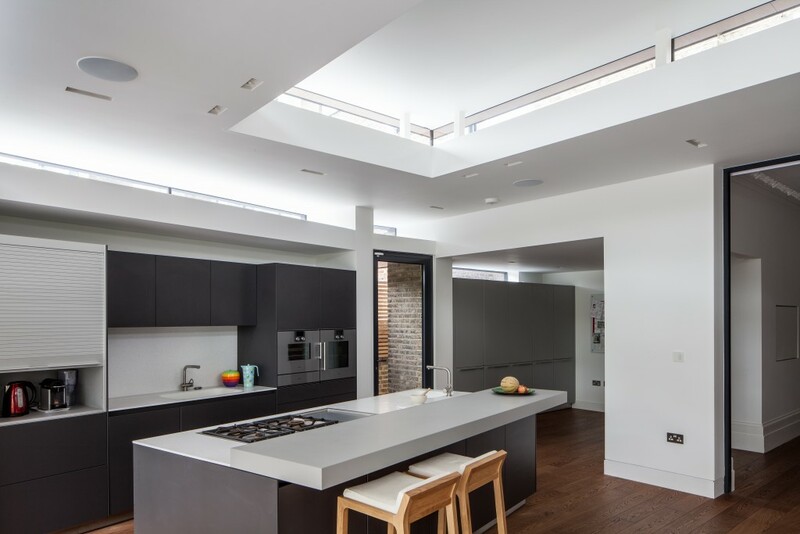 The layout of this 3-storey villa has been extensively reconfigured to future-proof the living space for the young family and their growing needs. 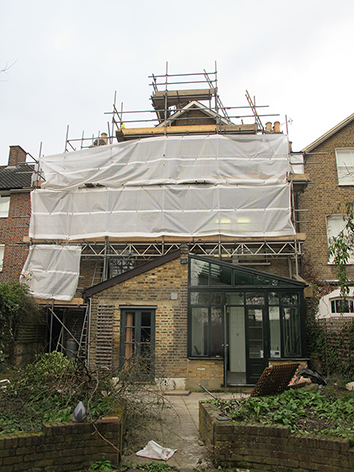 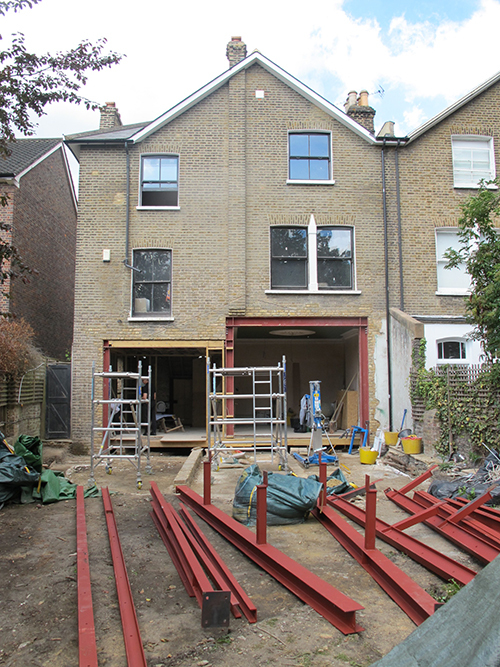 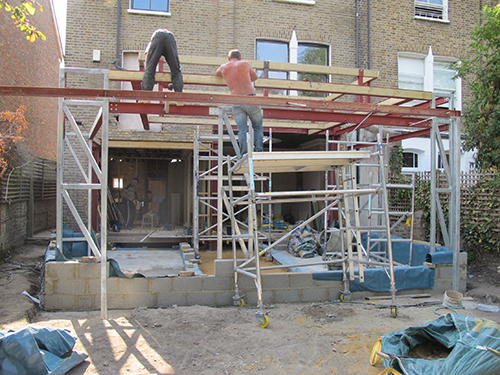 The old conservatory and kitchen extension at the rear, has been demolished to make way for a large, single storey ‘open plan’ kitchen and dining extension. 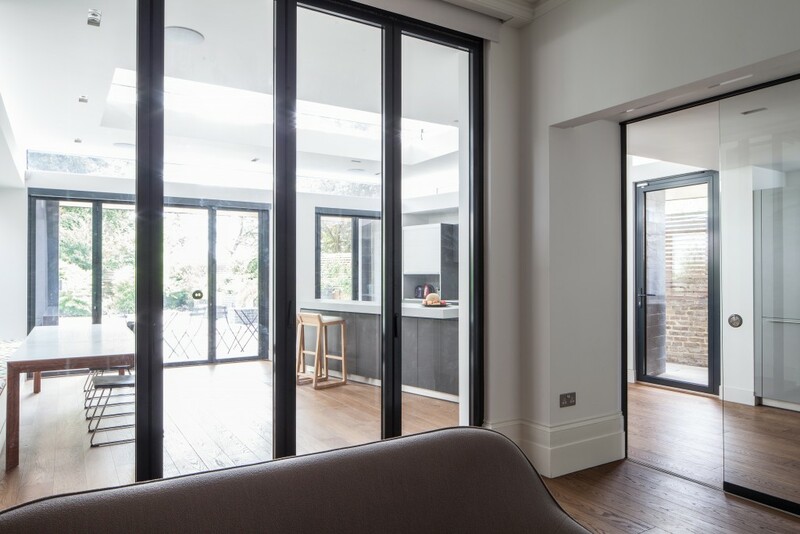 The new spaces flow into the existing drawing room, but can be separated by a series of folding glazed screens and pocket doors with automated blinds to create an intimate living space. 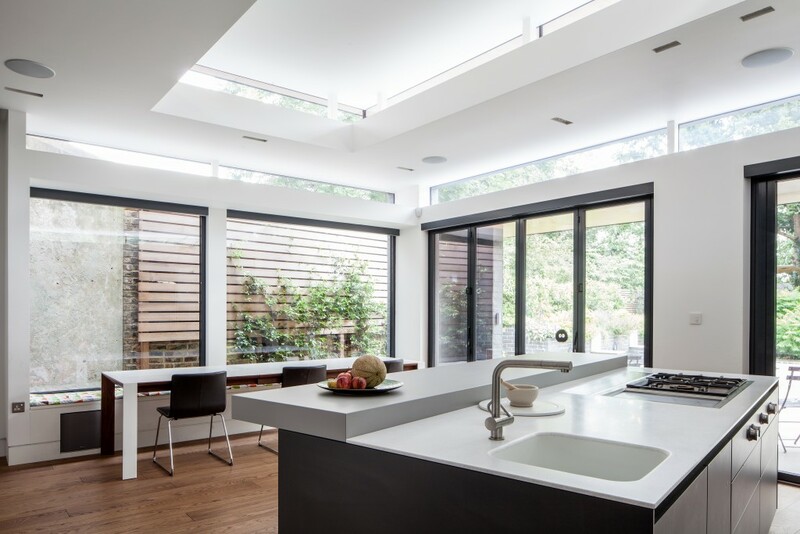 The Client stipulated that the new extension should be filled with natural light, penetrating into the existing drawing room whilst avoiding too much solar gain during the summer months. This was achieved by incorporating a ribbon of ‘frameless’ horizontal glazing at high level around the perimeter wall on 3 sides with an upper glazed tier punctured through the centre of the roof plane. 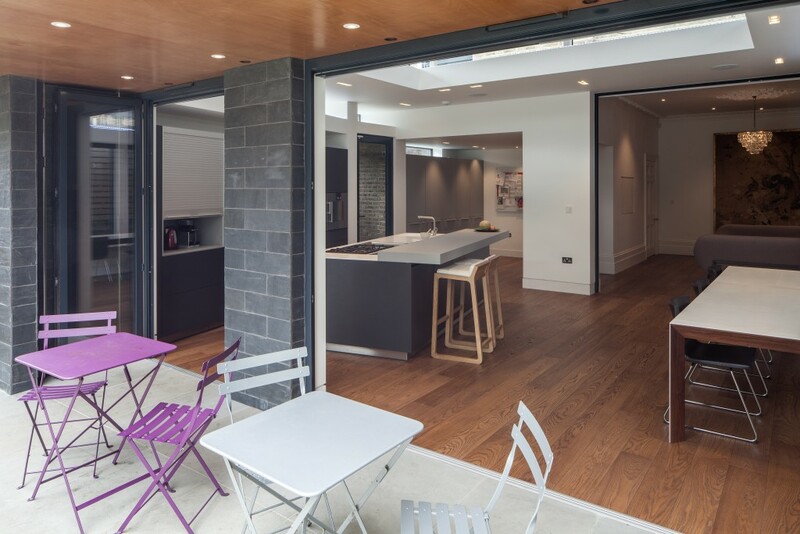 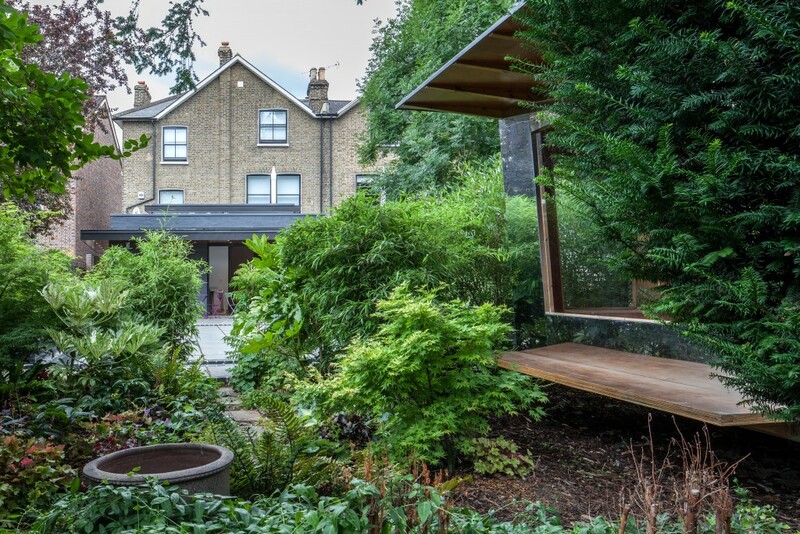 Two sets of bi-fold doors open onto the garden terrace area at the rear, stacking neatly into the projecting wall pockets and a cantilevered roof canopy wraps around the side and rear to provide a dry seating area and effective shading from the direct sunlight. 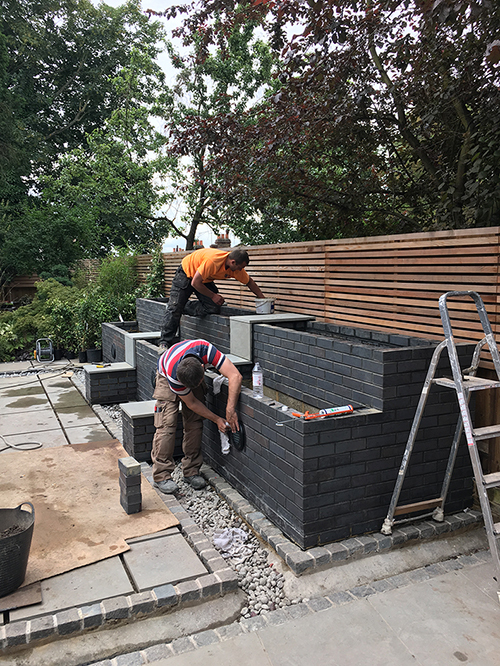 Externally, the extension is clad in riven welsh slate tiles which were carefully selected together with the client to complement the zinc roof cladding. 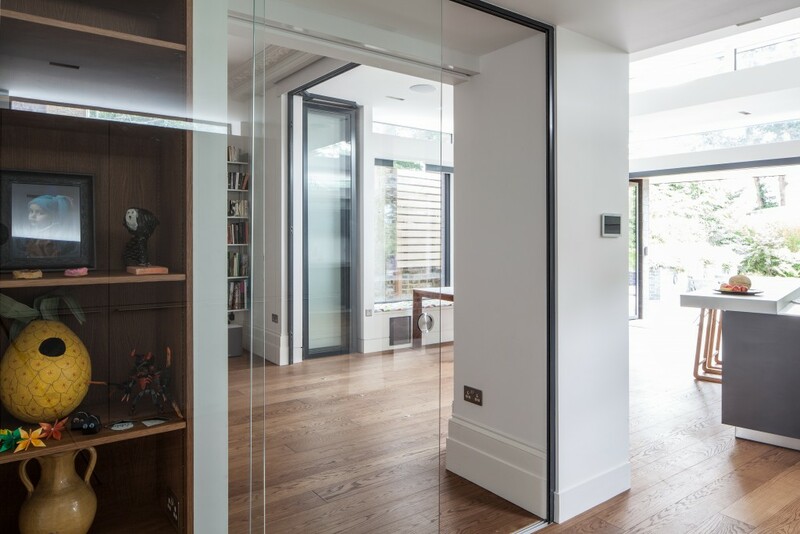 The existing ground floor layout was adapted to create a family storage area and an artist’s studio in the front room, accessed from the main entrance hallway. 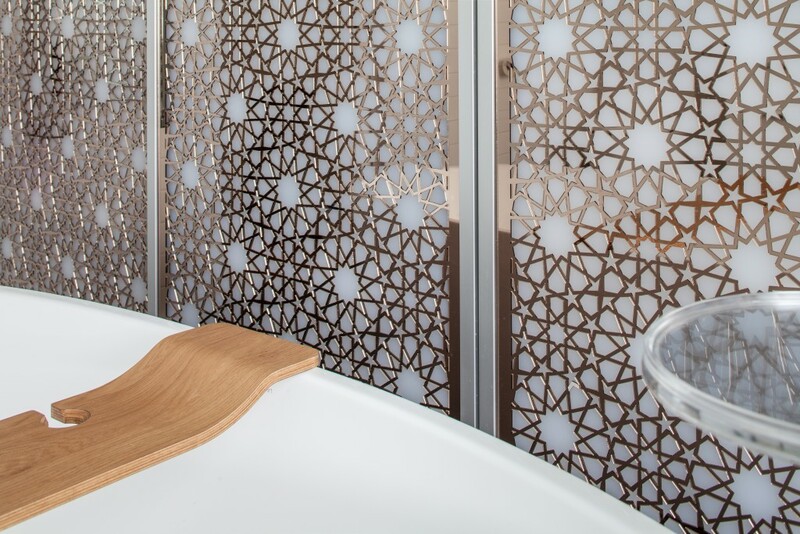 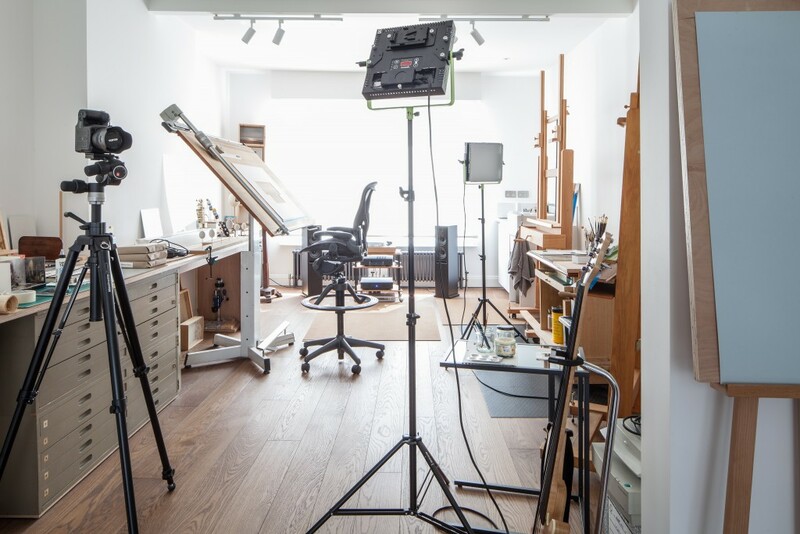 At the split level 1st floor landing, the old family bathroom has been converted into a bedroom with en-suite and the two main rooms at 1st floor landing level have been adapted into a wet and dry artist’s studio. 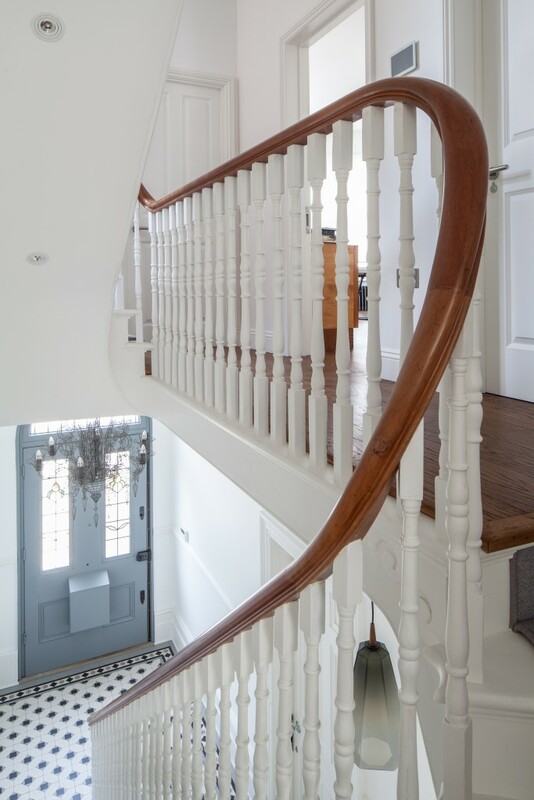 At 2nd floor level, a family bathroom and utility were formed off the split-level landing and the main room at 2nd floor landing level has been sub-divided into two equal sized bedrooms for the girls. 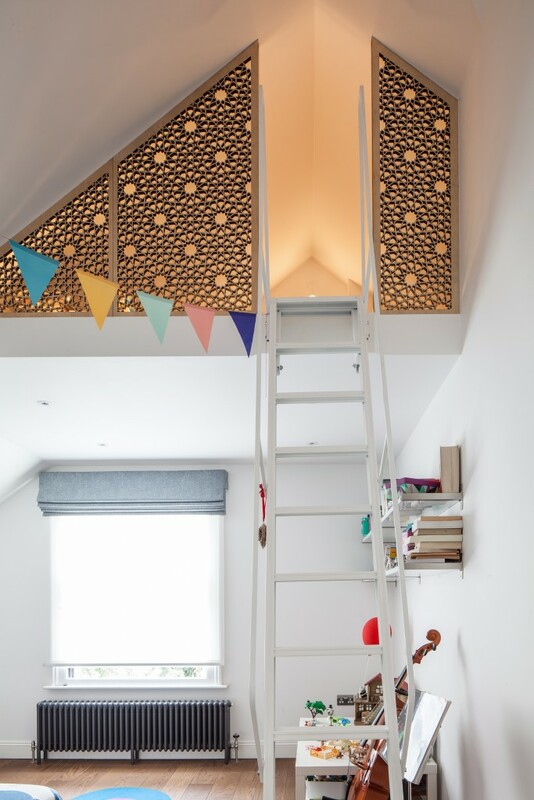 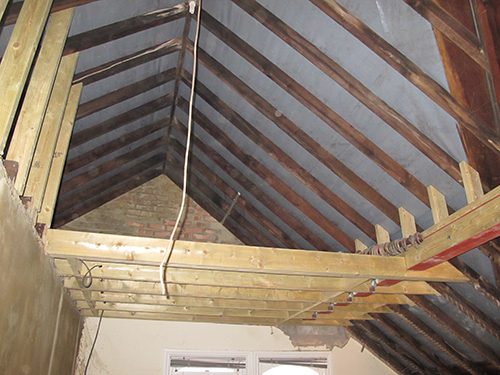 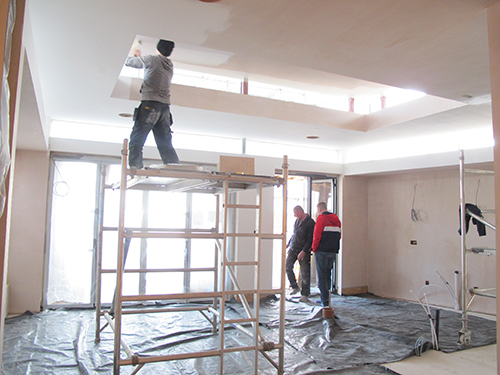 The ceiling joists were partially removed in each room to reveal the roof eaves structure and create a mezzanine loft cabin play space, accessed via a ladder.